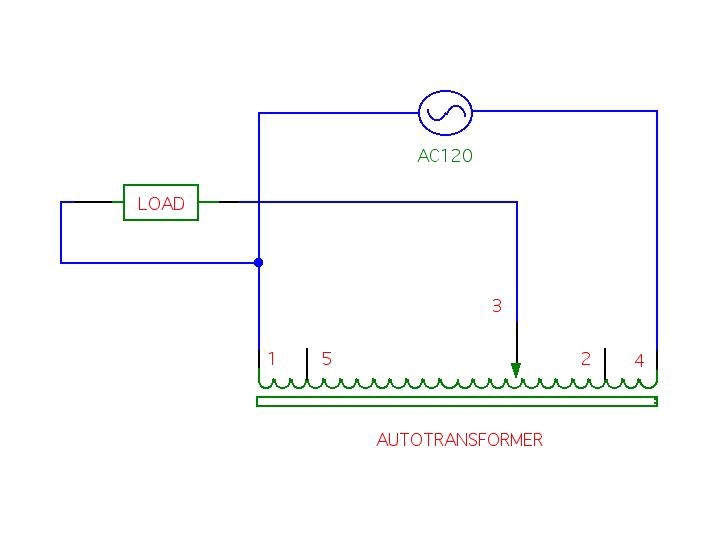 Welcome to the Variable Autotransformer Page! Why a variac page? 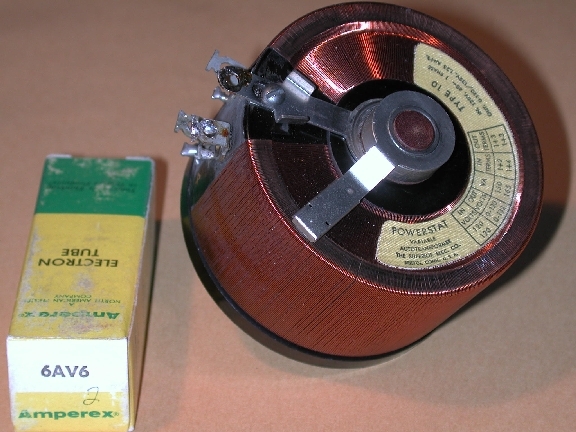 To those that use them every day, variable autotransformers, usually described by General Radio's brand name VARIAC, hardly require their own web page. Actually, the variac is a topic that comes up often and repeatedly on the tube-audio-hobby news and discussion groups. As a service to this audience, I've put together this humble page in hopes of dealing with some of these common questions. What does a variac look like? Two types are tyically seen; bench models and open frame types. The bench model (typical example to the left) contains the winding in a ventilated metal shield, with the control knob on top. The shield is usually cylindrical, and the variac sits on the bench top like a soda can sits on a counter top. The bench model typically has an on/off switch, a fuse, one or more AC outlets, a line cord and sometimes a current or voltage meter. Open frame types, like the one shown on the right, are intended for panel mounting in equipment racks or as a part of some larger piece of equipment. Electrical connections and the inductor are exposed, but the operating principles are the same as the bench model. What does a variac do? Variacs provide a voltage-adjustable source of alternating current (AC) electricity. Usually plugged into a wall outlet (120 volts AC at 60 Hertz in the USA), they have a knob-controlled output that can range from 0 volts AC (VAC) to about 140VAC, depending on how the winding is connected (see below). Variacs do not provide isolation from the wall outlet (the line voltage) as does a true transformer; thus are not suitable for directly powering low-voltage devices. They are typically used in tube audio for powering experimental circuits and for equipment testing and repair, not as a permanent source of voltage-shifted power. Will any variac work in all applications? No. Variacs are designed for a specific input voltage and frequency, and will not work well with other inputs. Only the output is intended to be variable. Variacs also have an output current rating which should not be exceeded. How does a variac work? Variacs can best be described as tapped inductors, where the "tap" is a conductive slider that moves along the length of the inductor. The inductor is shaped like a doughnut (toroid) with wire wrapped radially through the center hole and around the toroid. Unlike a transformer with isolated input and output windings, variacs have a single winding that serves as both the input and output source. The slider is an arm equipped with a carbon contact that rotates on an axle located at the axis of the toroid (i.e. through the doughnut hole). 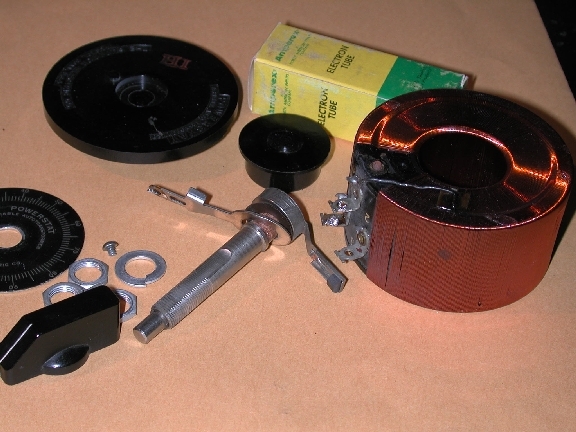 The enamel insulation of the winding wire is removed where the carbon contact touches the winding, so that the contact forms a circuit through part of the winding, just like the carbon brush of an electric motor forms a circuit through the commutator and through the armature winding. I've taken a little open-frame one (1.25A output) apart in the pictures below so that you can see the parts. Just like a potentiometer, variacs divide voltage by dividing the impedance between the inputs into two parts. The fraction of the divided input impedance connected to the output determines the output voltage. 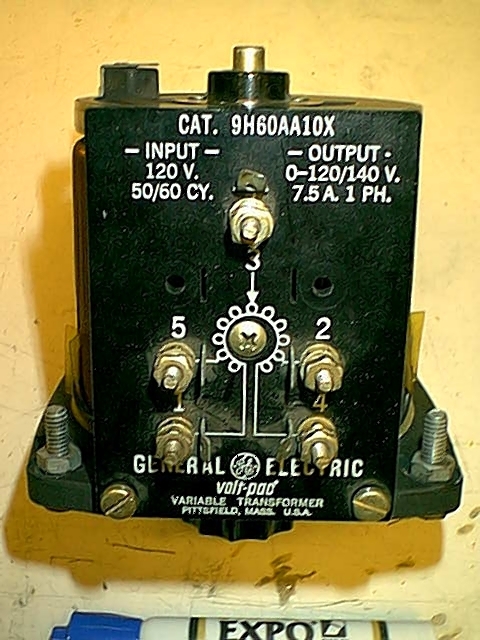 While a potentiometer uses a resistance as the divided impedance, the variac instead uses an inductance. This provides much higher efficiency than a resistance, eliminating the power lost in heating the resistance. Using a variac, almost all of the power consumed is delivered to the load connected to the output. Of course, there is some heating due to the resistance of the winding wire, and the magnetic coupling between the input and output is far from perfect, but still an inductive voltage divider is much more efficient than a resistive voltage divider. I bought an open-frame variac. How do I connect it? I have seen open-frame variacs with 3, 4 or 5 terminals. In the diagram to the left, I've stretched out the toroid into a straight line. This diagram has 5 terminals, but 3 and 4 terminal variacs eliminate one or two of terminals 1, 2, 4 or 5. The simplest connection is shown; 0 to 120VAC range, with clockwise increasing rotation. There's always one connection that is shared between the input and output - we'll call this the fixed connection (terminal 1). The 120VAC line voltage connects to opposite ends of the inductor (terminals 1 and 4). As the knob is turned, the slider (terminal 3) moves towards and away from the fixed point, connecting a larger or smaller portion of the inductor to the output terminals. At 0 VAC output, both the slider and the fixed connection are at the same point on the inductor, thus there is no voltage between them. At the other extreme, the slider is at the opposite end of the inductor from the fixed connection, and the full input voltage is seen between the output terminals (the inductor is in parallel with the load). Voltage Boost: The inductor functions just like a transformer, and can shift the input voltage up as well as down. Suppose that the input 120VAC connects to terminal 2 instead of terminal 4. As the slider passes terminal 2, the output voltage actually exceeds the input voltage, since a larger number of turns of the inductor are connected to the output compared to the input. Typical boosts give a maximum 140VAC with a 120VAC input. Rotation Reversal: By switching the fixed connection to the opposite end of the inductor, the direction of rotation for increasing voltage can be reversed. 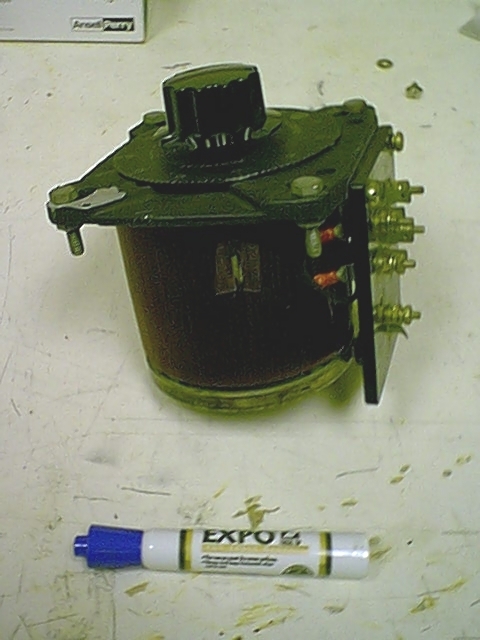 Typically 5 connections means the variac can be connected for boost or no boost, and either direction of rotation. The examples I've seen with 4 connections allow boost or no boost, but no rotation reversal. Those I've seen with 3 connections do not provide boost, but can be connected for either rotation. Bench models I've seen always rotate in an increasing clockwise direction, but boost can be present or not. If you don't understand the stretched-out toroid drawing, a similar drawing in a round shape is shown on the GE variac next to my signature line below. Can I use an open-frame variac on the bench? Yes, but you should put it in a box or mount it in a rack. At a minimum you should equip it with a switch, fuse, 3-wire line cord and outlet. Using a 3-wire cord, the black wire is hot (just remember "black death"), white is neutral and green ground. The green wire should go to the case, the frame of the variac, and the ground pin of the output outlet. The black wire should go first to the fuse, then to the switch, and then to the fixed end of the winding. The other end of the winding goes to neutral, so that if the fuse blows or the switch is off, the hot side is disconnected. You should also check the outlets at your bench to make sure that the right (smaller) prong is the hot side (USA only!). For connections to the variac, see the discussion above. Standard disclaimer: it's your responsibility to check these instructions and verify that they are right; if you have any uncertainty, consult a licensed electrician. How useful is a variac compared with other equipment I need? Hmm. Well, typically, if you're buying vintage tube amps, tubed radios or test equipment, you need a way to bring them up to working voltage gently (see the Electrolytics page under reforming). In that case, you probably need a variac as much as you need a good digital volt meter (DVM). For building electronic equipment from scratch (home brew), I'd get a good soldering iron, DVM, frequency generator, oscilloscope and hand tools first. Can I use a variac to lower the line voltage to my valuable vintage amplifier? Sure. Modern line voltages can be very high, upwards of 130VAC, and most vintage amplifiers were designed to operate on 110VAC or 117VAC nominal. Often owners of valuable vintage equipment wish to preserve the original condition of their equipment, and these high line voltages can accelerate the deterioration of vintage components. Especially problematic are vintage electrolytic capacitors, which, even without the assistance of modern overvoltages, are operating today way beyond their expected lifetimes and are prone to failure. A variac will bring the line voltage down to "classic nominal" trivially, with no modifications to the vintage equipment. I bought this old variac with a 2-wire line cord. Should I convert it to a 3-wire cord? Yeah, I think so. You can see in the pictures above that the blue variac has been converted to a 3-prong outlet. 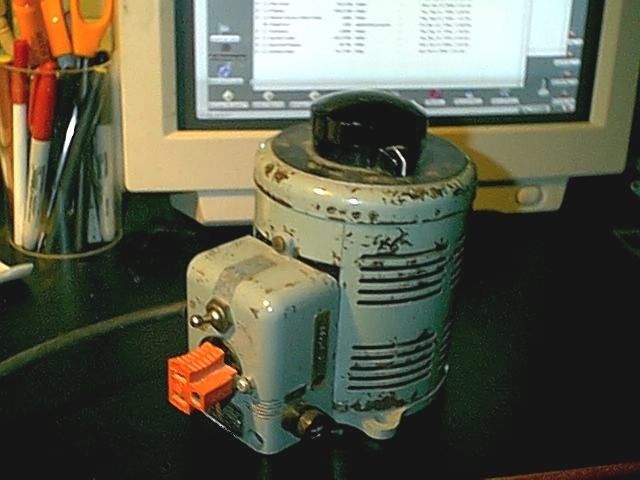 The green grounding tab on the orange adapter is secured to the (grounded) case with a small screw and nut. A 3-wire cord has been added, paying attention to wire the hot and neutral side as described above. The ground wire connects to the case. What about safety? How large a fuse should I use? 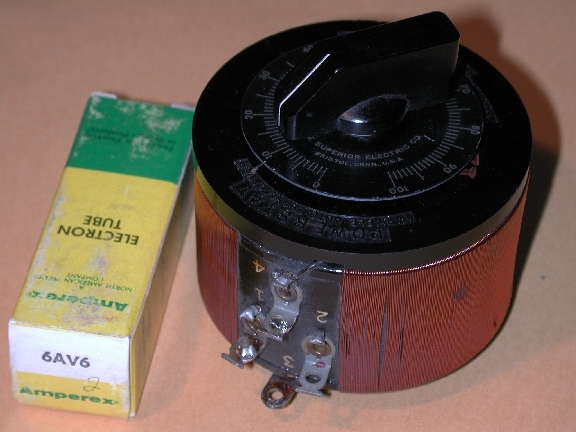 Certainly no larger a fuse than the rating of the variac. You may want to use a smaller fuse to protect your valuable equipment, simply because the fuse holder on the variac is handy. Where can I buy a variac, and how much do they cost? You can buy them new for about $100, or used for prices ranging from free, to a few dollars, to about $25. They are a common popular item at hamfests). Sometimes they show up on eBay or someone offers one on one of the hobbyist discussion groups. If you can't find one for a reasonable price, the discussion groups are a good place to ask for advice. Variacs are also often sold at specialty electronics surplus stores like Fair Radio or Surplus Sales of Nebraska, but at a premium to hamfest prices. How large a variac do I need? For most electronics hobby uses, a 5 amp or 7.5 amp model is about right. Smaller variacs may be fine for specific uses, like running your vintage preamp or radio, and for some reforming duties. I just bought this cool variac; now what do I use it for? Send me your Variac pictures! Especially anything odd or unusual.